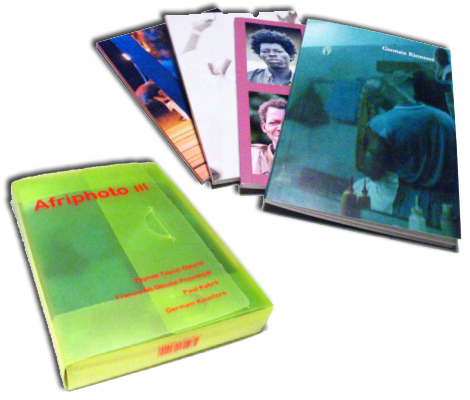 Since 2004, Africultures and Filigranes Editions co-publish the Afriphoto Collection. Box set # 5 (2008) Abel Sumo Gayvolor / Isaac Hudson Bruce Vanderpuije, Ganiyu Owadi et Gerald L. Annan-Forson. One-off publications (2007) J.K. Bruce Vanderpuije, Ghana Photos Memories. You would like to purchase one of our books or box sets? Please contact us!